Foreign investors who want to set up companies in Montenegro can rely on the local legislation which allows them to enter the local market in several ways. They can either apply for work permits which will allow them to work in their own companies or for residence permits which will enable them to relocate to the country and become business owners. One of the most recent programs which enable foreigners to relocate to Montenegro is the Citizenship by Investment Scheme which was created in 2018 and which targets attracting a greater number of foreign investors to the country. Below, you can discover the requirements which allow you to apply for the Citizenship by Investment program in Montenegro. We are a team of company formation agents who can help you open a company in Montenegro in the fastest manner possible. Who can enroll in the Montenegro Citizenship by Investment program? Also known as the Economic Citizenship Scheme, the Citizenship by Investment Program was created for non-EU citizens who want to relocate to Montenegro by making investments in assets designated by the government. An important aspect of this program is that at the moment the program targets a limited number of applicants and its first phase will unfold for a period of 3 years starting January 2019. - the applicant must also deposit a guarantee of 15,000 euros plus 10,000 euros for other 4 family members (where applicable). The applicant can also bring more family member, however, for each of them, an additional 50,000 euros must be deposited starting with the 5th member. The minimum amount to be invested is set at 350,000 euros. Those who want to relocate to Montenegro through the Economic Citizenship Scheme will have plenty of benefits among which the fact they do not need to submit any proof of previous business experience. Also, no language tests are imposed. The government will only verify if the candidate has a good reputation and health and a clean criminal record. The Citizenship by Investment Program will enable the successful candidates to travel or relocate to EU and Schengen area states without additional visas. Our company registration specialists in Montenegro can offer detailed information on the requirements to be completed in order to accede to this program. Why relocate to Montenegro through the Citizenship by Investment Program? The Montenegro Citizenship by Investment Scheme is open to both EU and non-EU citizens. Moreover, this program implies one of the lowest investments among European countries. 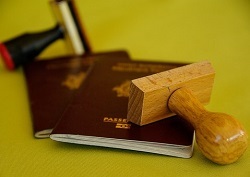 The program launched by the Montenegro government is one of the fastest ways of obtaining citizenship in this country. Government officials have announced that the applicants with successful candidacies will receive the permanent status no later than 3 weeks and the Montenegro passport no later than 6 months after the application. Montenegro is a small European country; however, it is currently one of the economically safest countries to move to. Montenegro has a stable taxation system and even if it currently is not an EU member state, it is expected to enter the EU by 2025. 1. Can EU citizens apply for the Montenegro Citizenship program? Yes, this program is also destined to EU states’ citizens who want to move here. 2. It is necessary to register a business under this program? No, the investment can also be made in real estate assets. For example, you can purchase a property which meets the demands of the program. 3. Can I bring other family members with me? Yes, you can bring other family members with you. The program does not state a specific number, but you can bring at least 5 family members under this program. 4. Is it hard to obtain citizenship in Montenegro through this program? No, the program guarantees a Montenegro passport within 6 months from the application, provided it is a successful one. If you need assistance in entering the Citizenship by Investment Scheme, please contact us. 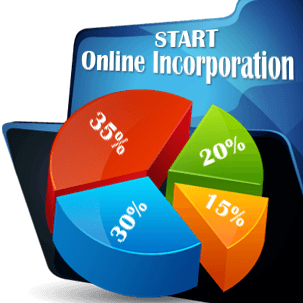 We also specialize in company formation services in Montenegro if you decide for this option.